His First Action Role, John Krasinski Trains Hard for "13 Hours"
Far from his image in the popular series “The Office,” a buff, bearded John Krasinski leads the cast of Paramount Pictures' new action-thriller “13 Hours: The Secret Soldiers of Benghazi,” directed by Michael Bay. 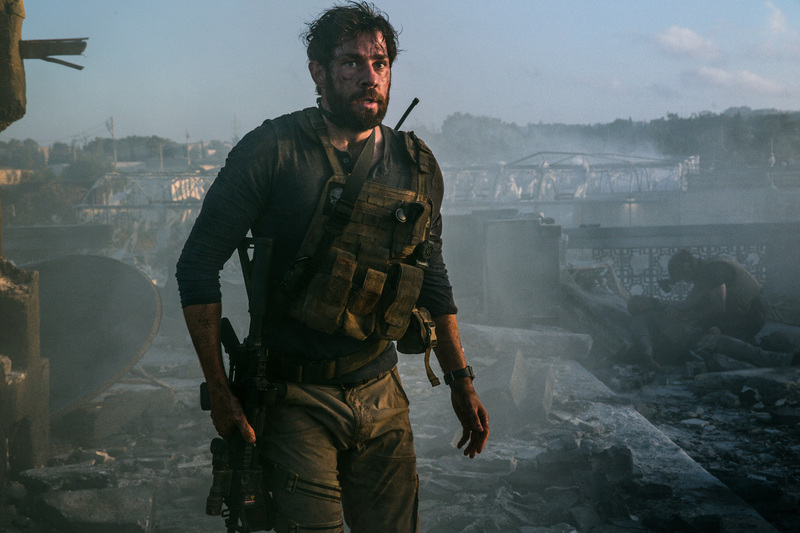 Krasinski plays Jack Silva, one of six members of a security team made up of elite ex-military operators who fought to defend the American diplomatic compound in Benghazi from an attack of Islamist militants on Sept. 11, 2012 — the 11th anniversary of the 9/11 attacks. The movie features Krasinski in his first leading action role, in what is the biggest departure yet from the affable cube dweller he portrayed on the long-running NBC series. Krasinski never really had to work out hard for a role before, so preparing to play this tough former Navy Seal was a challenge. During the run of “The Office,” he was actually encouraged not to be in superb shape. For “13 Hours,”, he put in an enormous amount of time to get in shape and was really excited to do it. Being in an action movie is something he's always wanted to do and the actor says he'd love to do more of. Krasinski told Men's Health he had just four months to train in preparation for the role of a former Navy SEAL. After all, he had to look the part. "I gotta be honest: It was brutal at times," Krasinski said. "We did tons of metabolic work, dragging sleds and all this stuff I've seen NFL players do." Krasinski doesn't go out of his way to show off his new body in the movie, aside from one shirtless shot toward the end. From director Michael Bay, "13 Hours: The Secret Soldiers of Benghazi" is the gripping true story of six elite ex-military operators assigned to protect the CIA who fought back against overwhelming odds when terrorists attacked a U.S. diplomatic compound on September 11, 2012. When everything went wrong, six men had the courage to do what was right. The film is written by Chuck Hogan, based on the book 13 Hours by Mitchell Zuckoff and Members of the Annex Security Team. Produced by Erwin Stoff and Michael Bay. Starring James Badge Dale, John Krasinski, Max Martini, Pablo Schreiber, Toby Stephens, David Denman and Dominic Fumusa.